David Sleet attended San Diego State College where he received a B.A. degree (1966) in Psychology and a M.A degree in Physical Education (1968). During his Master’s studies, David worked as an assistant on research projects led by Dr. Lindsay Carter (Antrhropometic training) and by Dr. Fred Kasch (Adult Fitness Program). He received his Ph.D. (1973) in Health Education & Exercise Science at The University of Toledo, Ohio.  In 1972 David returned to San Diego State University (SDSU) as a Lecturer in Health and Physical Education, then served as Assistant Professor in the Department of Health Science in 1974. He remained on the Health Science faculty where he was promoted to the rank of Associate Professor (1977), and later promoted to the rank of Professor (1985). During those years David had teaching and research responsibilities in Health Science and the Graduate School of Public Health, which he helped found. In 1992-93 during university re-structuring, his position was transferred to the Department of Physical Education in the wake of an elimination of 10 departments, including the Department of Health Science. David’s teaching expertise was in community health promotion, growth and development, exercise motivation, motor learning, and behavior change. His research focused on public health policy, behavioral epidemiology, health psychology, and injury prevention. Over the years David took opportunities to do research on health and psychology in other institutions. He was a research psychologist (1981 to 1984) for the U.S. Department of Transportation. He was Director of ROADWATCH (Traffic Research) at the University of Western Australia for two years (1989-1991). He also served as an Adjunct Professor of Public Health at Emory University beginning in 1992 where he taught core courses in the School of Public Health. In l993, Dr. Sleet took a sabbatical and began work as a behavioral scientist at the Centers for Disease Control and Prevention (CDC), in Atlanta, and in 1994 he was named Acting Director of the Division of Unintentional Injury Prevention (DUIP). He was invited to consult on exercise and health curricula, including a plan for a sports surveillance system, at the Laboratortum voor Menselijke Biometrie,Vrije Universite, Belgium in 1995. At the invitation of the Finnish Government, he was the first to conduct research in Finland on the benefits of airbags. Dr. Sleet was honored with the Mayhew Derryberry Award (1999) from the American Public Health Association for his contributions to theory and practice in public health, the U.S. Department of Health and Human Services Secretary’s Award for Distinguished Service (2001), and the National Highway Traffic Safety Administration Administrators Award (2003) for systematic reviews of traffic injury interventions. Mothers Against Drunk Driving gave his team The President’s Award for Research in 2006. 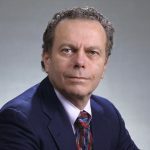 He co-edited the World Report on Road Traffic Injury Prevention (2004), and authored 3 additional books, including Injury and Violence Prevention: Behavioral Science Theories, Methods, and Applications (Jossey-Bass, 2006), and The Handbook of Injury and Violence Prevention (Springer, 2007), which won the 2007 CDC Communications Award. In 2009, Dr. Sleet was awarded the American Public Health Association “Distinguished Career Award” and he was inducted into the Society for Public Health Education “Hall of Fame” as a Distinguished Fellow for his leadership in health education. In 2014 he received the “Distinguished Career Award” in behavioral science from the CDC, and the Royal Order of Sahametrei Medal for services to the King & to the people of the Kingdom of Cambodia. In 2015, he will receive the Fries Foundation Health Education Award and Monetary Prize. He retired from SDSU after 26 years of distinguished service in 1997 as Emeritus Professor of Health Science and Exercise & Nutritional Sciences. David received the SDSU Monty Award as Distinguished Alumni of the Year in 2000. After retirement from SDSU, David became Associate Director for Science, DUIP, at the CDC. He retired from the CDC in 2016 and currently is serving as a CDC consultant. He is Adjunct Professor at Curtin University in Australia and the Rollins School of Public Health at Emory University, in Atlanta.